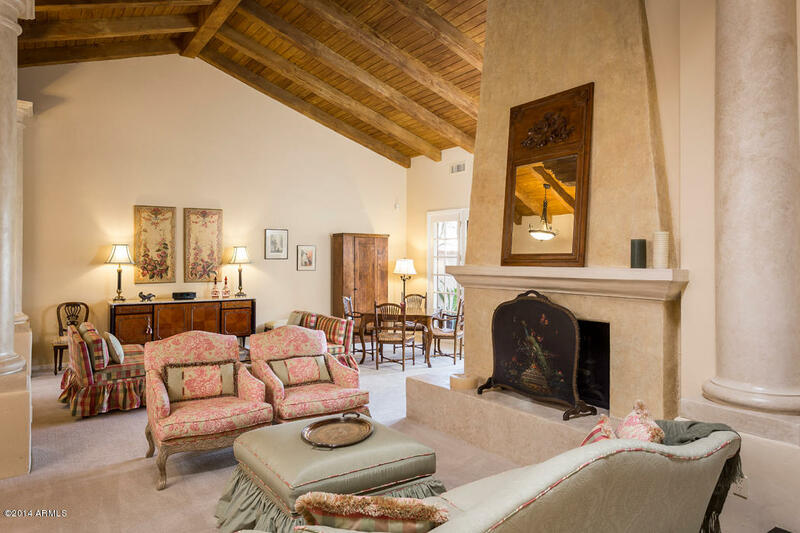 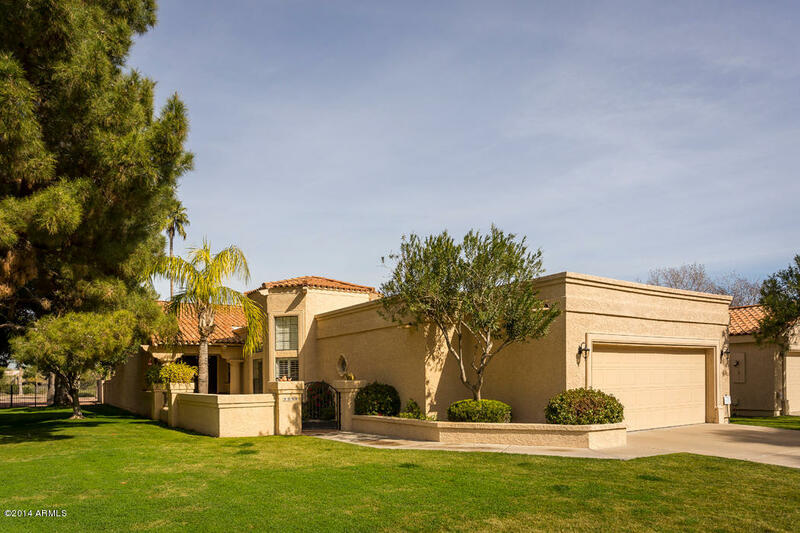 This absolute jewel is one of the best kept secrets in Paradise Valley. 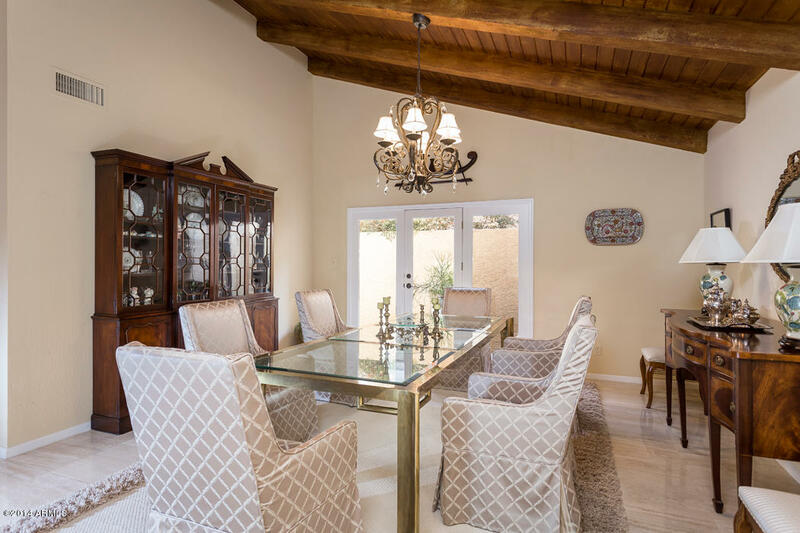 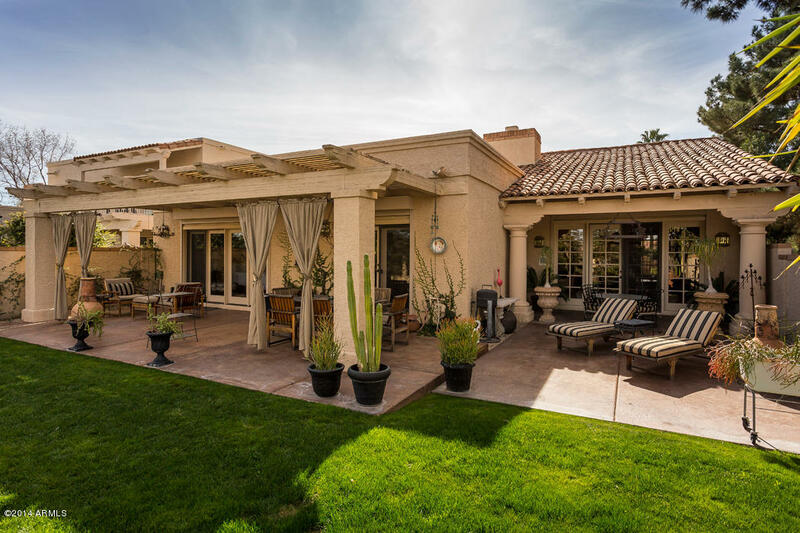 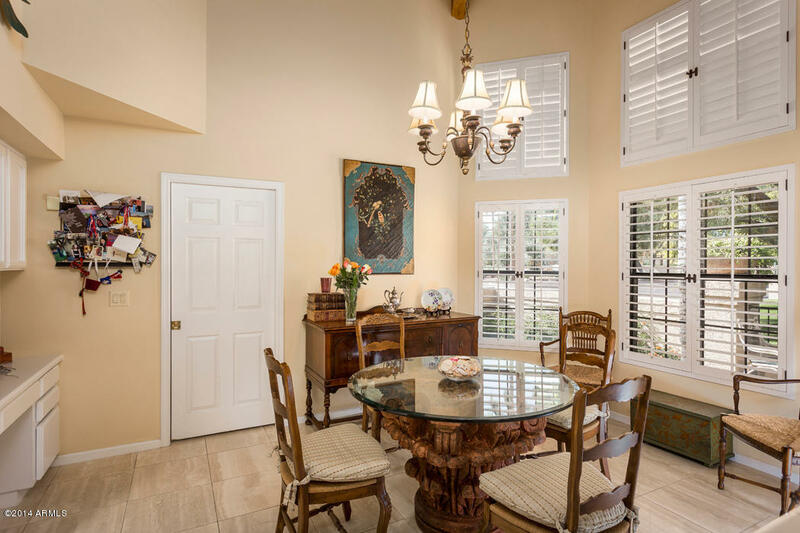 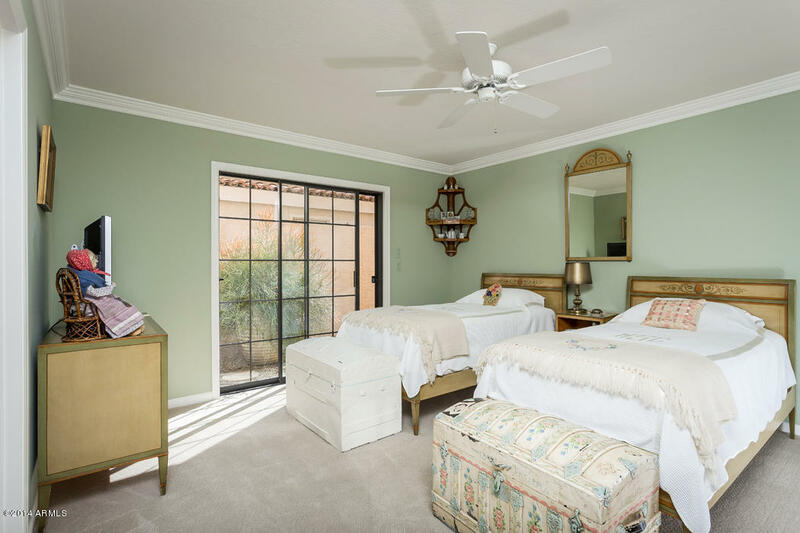 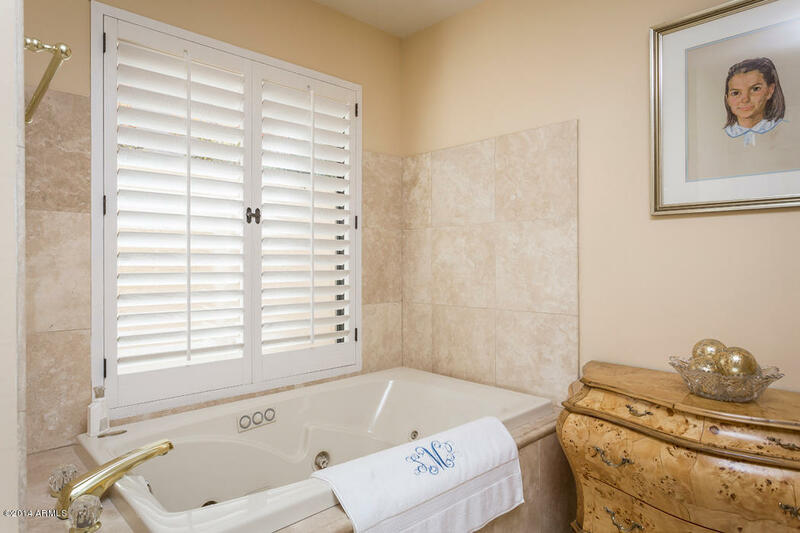 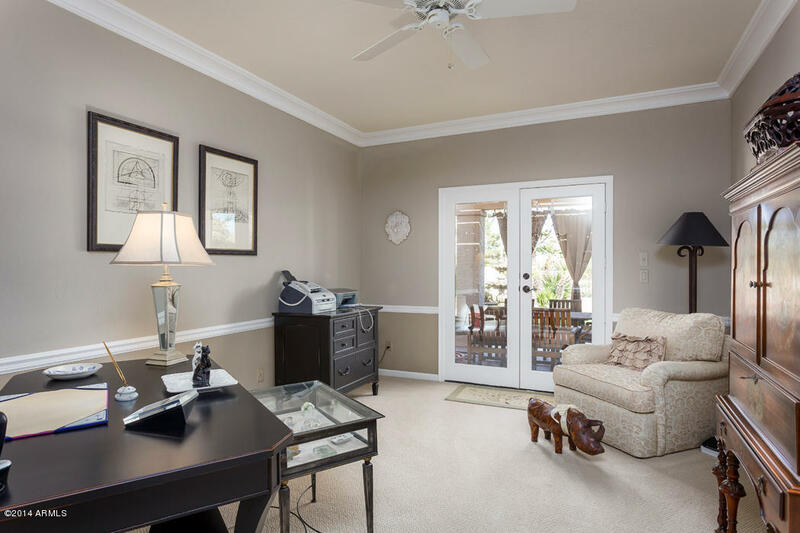 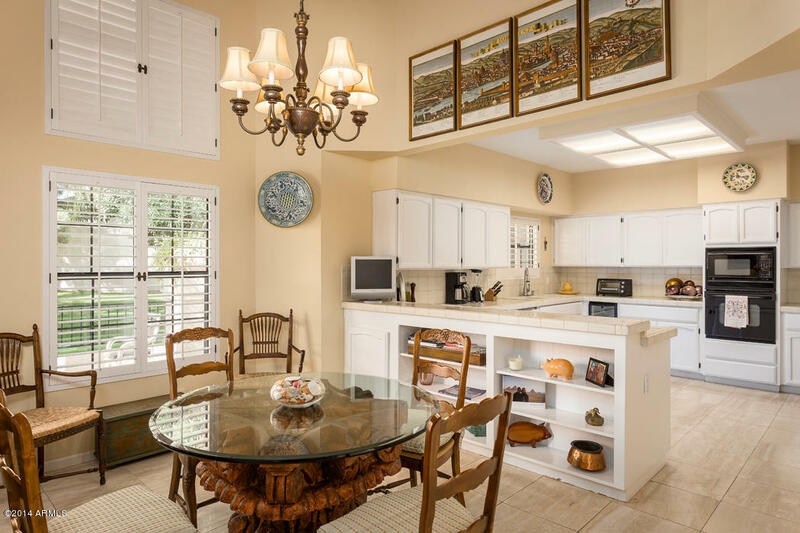 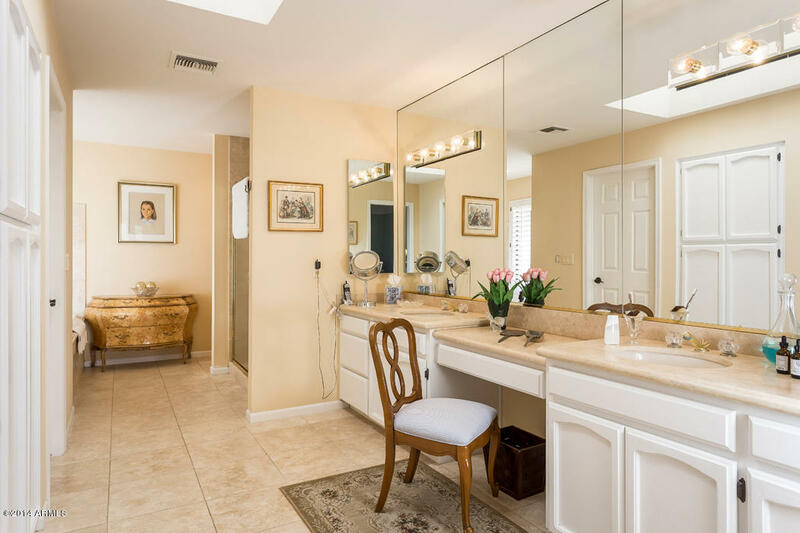 Located in Camelback Country Club Villas, this patio home is perfect of anyone wanting a luxurious patio home without the maintenance of a 1 acre lot. 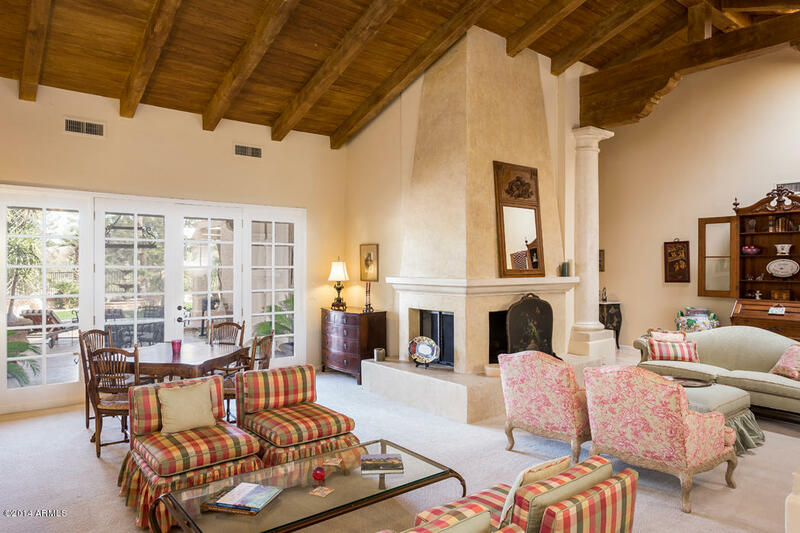 Large living/entertaining area with vaulted tongue and groove wood ceiling and 2 way fireplace, create a very elegant ambiance. 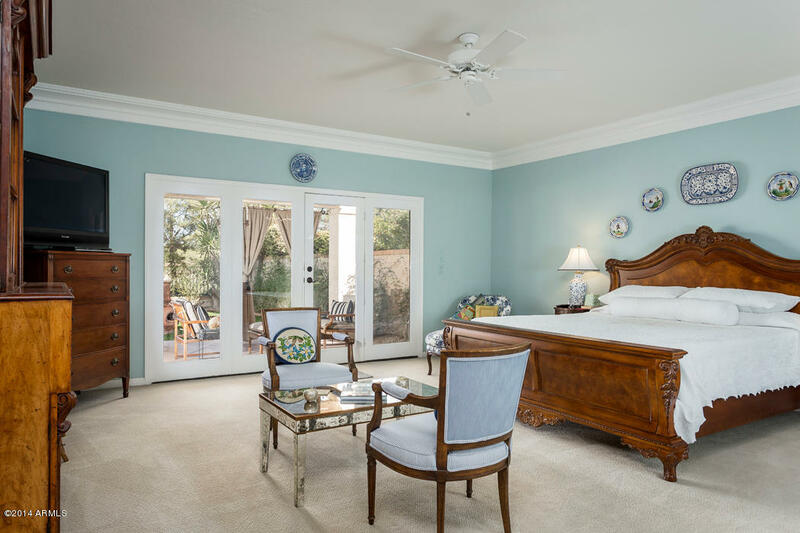 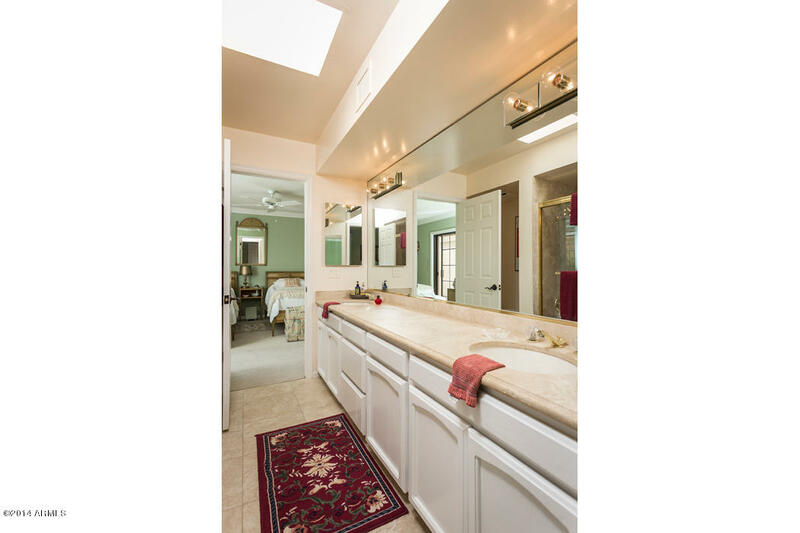 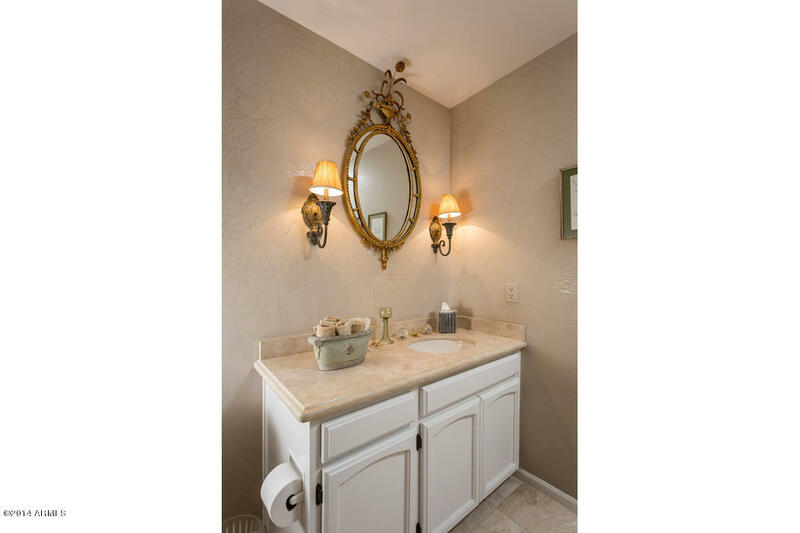 Marble floors, mirrored wet bar and large sunny master bedroom overlooking romantic lush green yard add to the appeal. 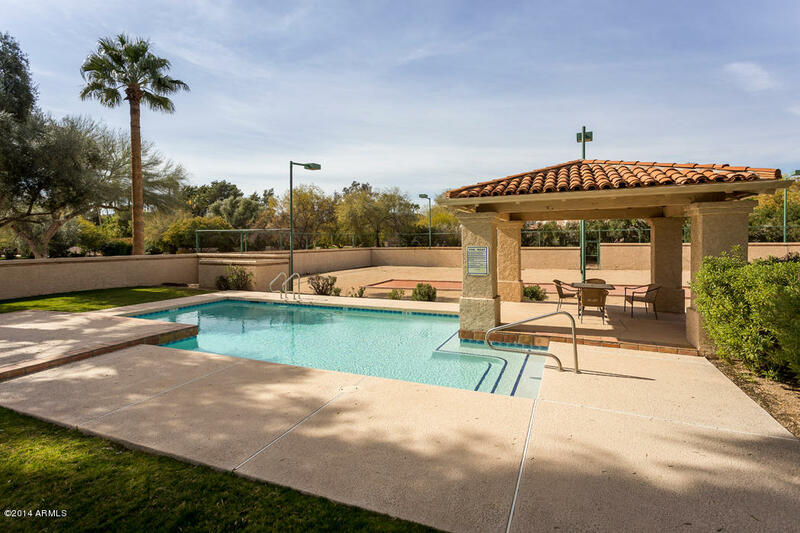 The neighborhood includes a community pool and bocci ball court and is adjacent to the Camelback golf course.